About Kurt Mueller - New Vista Development, Inc. I count myself very lucky that I love my work. 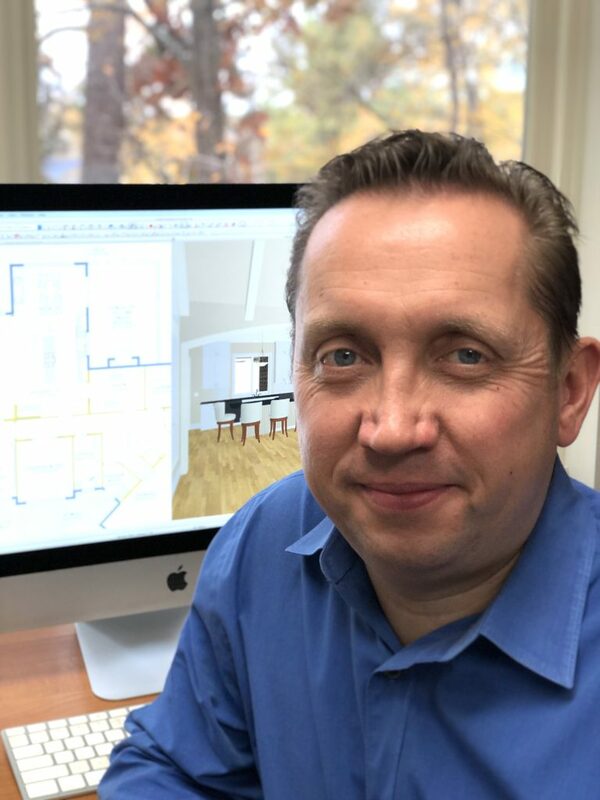 I truly enjoy the creative and collaborative process of taking the many elements that go into the the design of a home and putting all the pieces together to deliver homes that make my clients happy. When I was a young boy scout, my troop leader noticed that Blue Cross Blue Shield was dumping about x tons of paper, daily, into the landfill. Looking for a better solution, he engaged the troop in recycling this large quantity of paper. There was something deeply satisfying about taking an action that served the greater good. This was a formative experience as it spoke to my natural tendency to ask, “Is there a better way to do something?”. My interest in high-performance building reflects these ideals I cultivated as a child. Sometimes people worry that “Green Building” is putting the needs of environmentalist ideals above the needs and financial concerns of the individual. It became very apparent to me that if a highly efficient building is not also fiscally beneficial, it’s not being done right. satisfaction in the entire process: from the initial meetings of planning and design to managing and scheduling to having my hands in the process. Though I value being a gentleman, I’m not what would be considered a “gentleman contractor.” If I need to get in the muck, that’s where I’ll be! I’ve done every trade, so I understand how things need to be done and what materials are required to reach the highest level of quality. My head is always in the project and much of the time, my hands too. It is in my nature to seek the best possible solution. I have been known to personally comb through huge stacks of wood to make sure we’ve got the tightest and straightest grain; I’ve encouraged suppliers to research and find a special products a client is seeking; I’m constantly researching materials to make sure I’m up to date on what’s available in all areas from lighting to plumbing to HVAC to insulation. My process of training and learning will never stop and as a result, I assure a most positive experience for my clients and therefore for my company. My goal is to build the best home possible and to make the entire experience not only pleasant, but enjoyable. After a couple of decades in the business, it is clear to me that we are not only building homes, we are also building relationships.